I’m Going To Be On The Radio! Funky Colored Denim And A Big MESS! Wonderful picture of you and your mom. I always wished I had one with my mom, but a stroke at 62 took her overnight and then it was too late of course. Cherish the pic. I agree – Cathy Miller and husband John Bunge are dear friends – if you meet them, you’ll love them, too! I look forward to hearing their new CD! 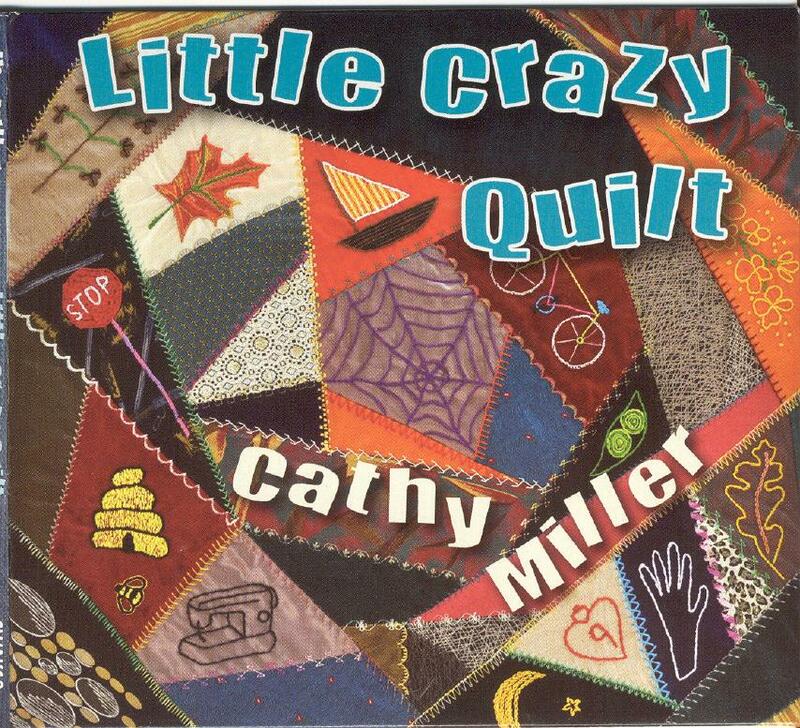 Cathy Miller spoke and taught at Shenandoah Valley Quilters Guild and she really entertained us! I am so glad that you two are friends. Please keep up the good work and laughs, both of you. What a beautiful song! 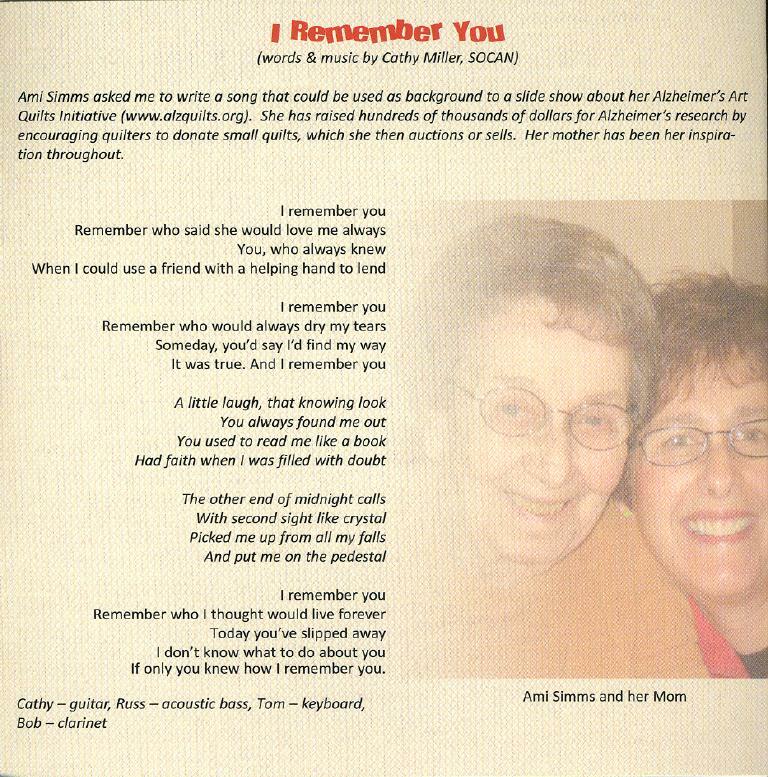 I read the lyrics and remembered my own mother, which is, I guess, what this song will do for anyone who reads or hears it. And what a lovely picture of the two of you. Cathy Miller is really a treasure! I understand why this makes you cry. Me to.